Before moving on to the next period of possible European:Native American interaction, there are a couple of things to add to the narrative that has been compiled to date. First I had a short discussion with the lady behind the desk, while visiting the Abbe Museum in Bar Harbor. I had commented on their lack of identification of the Red Paint People, and she commented that they felt that using the term diminished the tribe, and made it easier to disassociate current Wobanaki (the collective tribe of North-East America) from their ancestors, and thus diminish any political clout they might have. Having picked up Frederick Wiseman’s Book “Reclaiming the Ancestors” in the museum shop, it provided additional information relative to my last post, and so I will return to the Wobanaki issue in a minute. “Professor Warren claimed that she was a Native American, a person of color, and as you can see, she’s not,” said Brown. . . . . .
Now this is where this series began. Because what does an Eastern American Indian (as the Cherokee and Delaware were) look like? I rather think that the good Senator is being either somewhat perhaps racist, or perhaps just ignorant? For the reality is that the average Native American of the Eastern seaboard look like the average American. The lady behind the counter, who from our conversation is likely Wobanaki had the appearance of a typical American teenager/college student. The five basket weavers whose work is featured in the museum at present are Indian but look no different from your average American. In fact the second from the left looks a little like the good Senator. So Tsk! Tsk! Senator, perhaps you ought to have a good look at your constituents. (Note that this comment has now been picked up at Talking Points Memo). To return to the Wobanaki, and Professor Wiseman’s book. (He is incidentally Wobanaki himself). One of the premises on which the series to date has developed lies on the assumption that there was communication between European and some of the first populations of America (the First Nations) possibly dating from the time period of the PaleoIndians, and also possibly at the time of the Red Paint People. Dr. Wiseman gives a First Nations view of the topic. 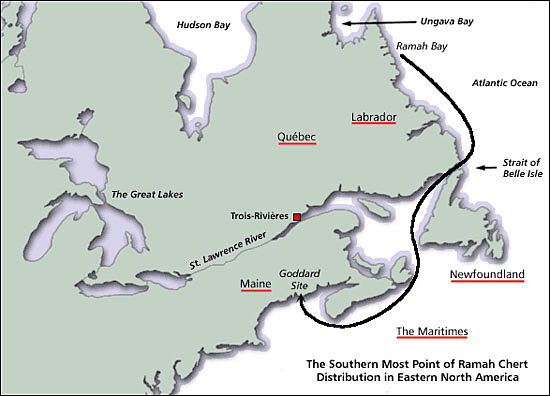 In addressing the first of these points, Professor Wiseman noted that at the end of the Last Glacial Maximum, PaleoIndians were using stone obtained from Ramah Bay in Northern Labrador. The significance of that, at the time I first read it, escaped me. 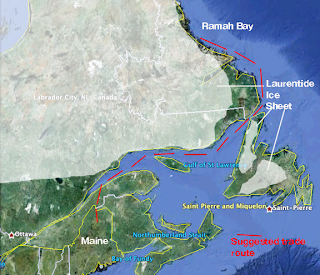 But the distance from Ramah Bay to Maine is about a thousand miles and at the time of the use of the stone there was the remnant of a glacier still sitting over most of Eastern Canada, down to the coast. Figure 2. Suggested trade route from Maine to Ramah Bay. (Google Earth and Frederick Wiseman. The upshot being that the First Nations had seagoing craft, and that the “technology” therefore existed to allow communication along the lower edge of the ice sheets and glaciers, from America to Europe. Wiseman suggests that the boats were hide covered, much as are the current umiaks used by the Inuit to move groups and their belongings over distance. Although if they were venturing long distances, I imagine they might have provided some cover for the passangers, and a variant of these has been around for millennia. One addition that Wiseman brings to the cemeteries of the Red Paint People is that, in some cases the bodies were cremated. He cites the burials near Amoskeag Falls in New Hampshire, and also notes that as the culture moved from Early Archaic to Middle so the groups, which had originally only been the 20-30 individuals, the characteristic size of hunter-gatherer groups now grew. With the fish and marine harvests larger groups came together, and were able to construct fish weirs across the rivers, giving a much greater harvest, for less ultimate effort. 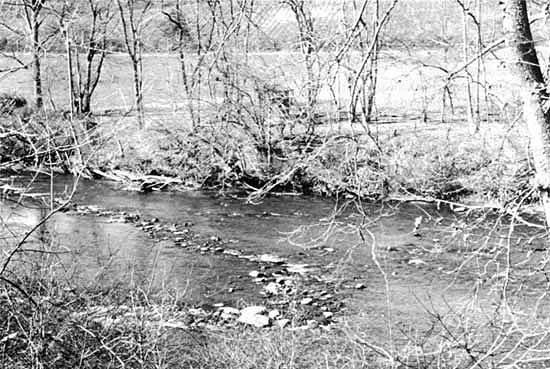 Larger weirs use wooden stakes to guide the fish into the traps, while smaller ones, such as the Allman fish weir, were constructed of large stones. The weir acts to guide the fish into a trap, usually made of net or wood. The oldest of these is the Sebasticook Lake Fish Weir(pdf). 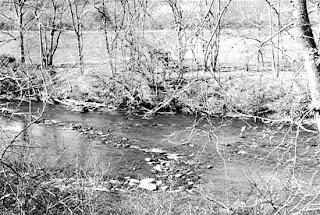 When the larger weirs were placed in rivers such as the Penobscot, Wiseman notes that it might take perhaps more than a hundred man-days to construct the weir, since the staves had first to be shaped, and then held in place with stones. I used the example of the Allman weir because it is a relatively shallow construction and was re-constructed by just one man. The more conventional weirs are made of wood, and are set into the river bed, albeit in roughly the same shape, but require much greater labor to construct, with the advantage that, where the waters are tidal, the yield can also be much greater. The stakes would then be connected by a wattle (woven branch) construction to direct the fish. Miller notes that the Sebasticook Lake weir was made up of some 630 wooden stakes. Wiseman notes that single hunter-gatherer groups, which might consist of up to 6 “families” would “work” over an area that might extend from 3 to 19 miles in distance, using different regions as the seasons changed. Moving to the construction of weirs with their provision of longer-lasting food supplies then became a pre-cursor to the subsequent shift into an agronomic lifestyle. 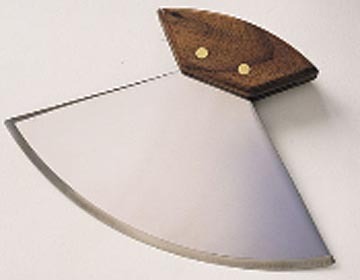 One additional facet of stone tool design also appears in the region during the time of the Red Paint People, and that is the ulu knife. These probably originated in the Inuit communities several thousand years ago and have a distinctive shape. 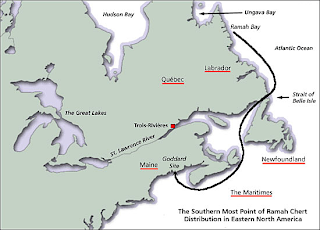 Their presence in Maine confirms the likelihood of communication between the First Nations in the lower 48, and the Inuit who were living along the Arctic Coast. The great warming that occurred during the time of the Red Paint People, taken with their increasing development of larger communities, and deeper water fishing, leads Wiseman to suggest that rather than Europeans coming to America, it is equally possible that exploring Wobanaki were the ones to cross the Atlantic, and brought back as, perhaps, a bride someone with the X variant in the mtDNA that then began its spread west. It is an interesting point of view, and one that is shared by the Curator at the Penobscot Museum at Lake Isle. The direction of the communicating vessels will come up again in later posts.